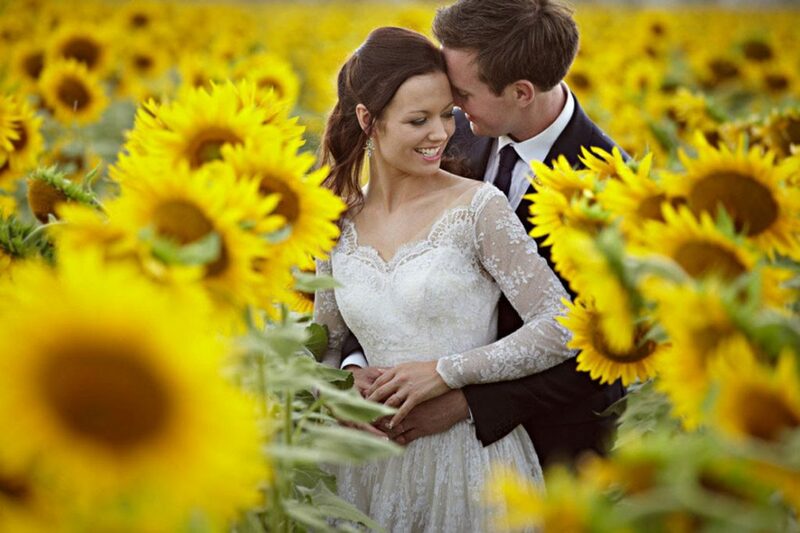 What better way to celebrate the local culture than with an Italian Vineyard wedding? Gaze out at the grapevines that proliferate across the beautiful rolling countryside that surrounds our villas and you’ll see just how integral wine is to the local culture. It probably goes without saying that this part of Italy enjoys an especially close and passionate relationship with food and wine. 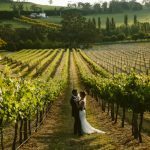 So why not make the most of the region’s love of good wine and delicious food with an Italian vineyard wedding? Villa Baroncino’s own vineyard produces around 20,000 bottles of wine a year, including red, white and prosecco. Each bottle is marked with the villa’s coat of arms and the estate is rightly proud of its highly-regarded wine. As another unique and rather special feature of this charming villa, as well as a link to the wonderful world of Italian gastronomy, many guests are keen to make our wine a central part of their wedding celebrations. Our Italian vineyard weddings give guests a chance to do just that by allowing them to enjoy the pleasures of the vineyard lifestyle; tasting the best local wines – including exceptional examples of famous varieties like Montalcino, Chianti, Sangiovese and Montepulciano – and enjoying fine Tuscan cuisine. 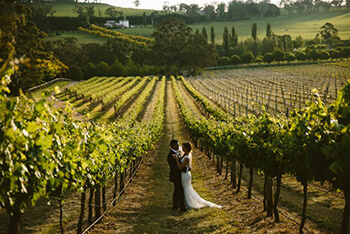 Serving wine from the estate that’s hosting your wedding adds a delightfully personal touch and really helps to reinforce your wedding’s connection to the local culture and the beautiful Italian countryside that surrounds you and your guests. We want our guests to enjoy an authentic taste of Tuscan culture and get a sense of Italy’s love-affair with locally cultivated food and wine. 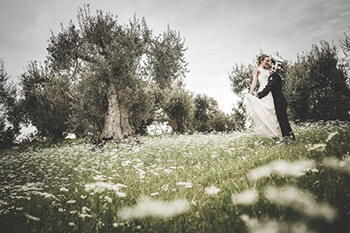 Our Italian vineyard weddings are a wonderful way to immerse yourself in the deep gastronomic traditions of the region and celebrate with our very own wine. What better tipple to raise a toast to a truly romantic Italian wedding?